Anniversaries come only once a year, so make yours special. 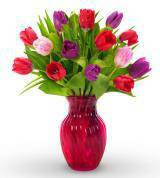 Fresh-cut anniversary flowers are a beautiful token of your love, appreciation, and gratitude for your spouse or significant other. 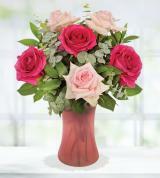 At Avas Flowers, we offer a wide selection of anniversary flower arrangements available for same-day or next-day delivery. When you order our premium flowers online or by phone, you’ll receive prompt flower delivery to your loved one’s home or business. 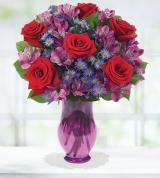 At Avas Flowers, our special anniversary gifts consists of all types of vibrantly colored flowers, such as classic red roses, stargazer lilies, purple carnations, and exotic birds of paradise, many staggered among lush greens. Our stunning anniversary flowers are elegantly arranged by our experienced florists in glass vases or decorative pots or containers. Some feature special extras, such as a charming bow, teddy bear, gourmet fruit basket, box of chocolates, or balloons. 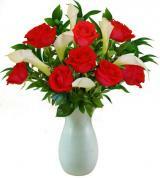 Avas Flowers is a nationwide florist offering discount flowers for anniversary events and other occasions. 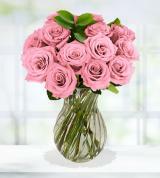 We are one of the largest florists in the country, and we are also a wholesale florist with a massive inventory of fresh flowers. 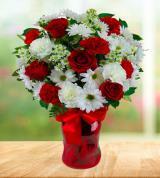 As we purchase our fresh flowers at wholesale prices, we are able to offer our customers lower prices and a selection of blooms that are much fresher than those some competitors might offer. 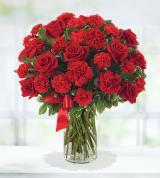 When you buy and send “happy anniversary” flowers, you can rest assured that you’re getting a high-quality product at a great price. 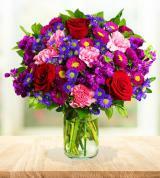 Put a smile on your loved one’s face this year with a beautiful bouquet of their favorite flowers. 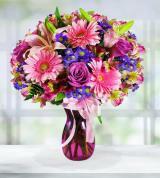 Anniversary arrangements range in color and complexity to ensure the right fit for each recipient. 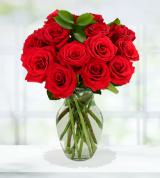 For a classic take on anniversary flowers, choose to give a dozen farm-fresh red roses arranged in a flower gift box. If you prefer a wider range of colors, pick a more colorful arrangement, perhaps featuring sunny yellow roses, pink spray roses, green seasonal flowers, and chrysanthemums. 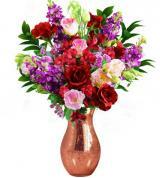 We also offer arrangements that include non-floral gifts. Get your sweetheart a bouquet of romantic roses on its own, or add in a cute teddy bear or a box of delicious chocolates for that extra special touch. 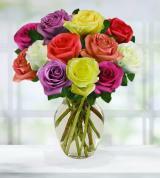 Ordering from Avas Flowers is a cinch. 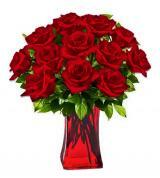 Easily search our extensive selection of fresh flowers for anniversary celebrations and other occasions on our website, or call us at 877-638-3303 for fast service. Whether you’re celebrating your wedding anniversary, the date on which you first met, or the anniversary of any other milestone event, a fresh flower delivery is a beautiful way to say “I love you” to your significant other on your special day. If you’re having difficulty finding that perfect anniversary gift to tell someone how you feel, let our floral arrangements express what’s in your heart. Give us a call today!